Pentatonix is a great acapella (voices only) group that sounds amazing. Use this worksheet to help students to learn the different vowel sounds in this cloze activity. This is a great version of a famous Christmas carol that ESL students will love. This listening practice focuses on vowel sounds and is good for beginners to distinguish minimal pairs while listening to great music. A worksheet will be coming soon for in class use. A quick tutorial video on the Past Progressive. A quick video tutorial on the simple past. These videos are just a quick overview. Of course, a full explanation takes more than a minute, but if you just need review, these should be good. This a new set of videos in which I am trying to explain some of the simpler grammar concepts in 1 minute or so. It's tough, but I think that it should help some people who just want really quick help with a grammar concept. This is a good classroom activity with a worksheet that can get students to practice the present, present progressive and stative verbs. I recently released the listening activity as well. This is for the classroom though. Hi everyone. 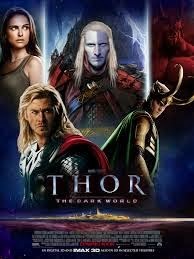 This is a beginner exercise that allows you to practice your simple present, present progressive, and stative verbs in reported speech with Thor 2. Have fun! This is a very cool video about a Telekinetic Coffee Shop Surprise was put out as an advertisement for a horror movie. Students really enjoy the amazing effects and the reactions of the customers. This will help students to practice the simple past and past progressive tenses. 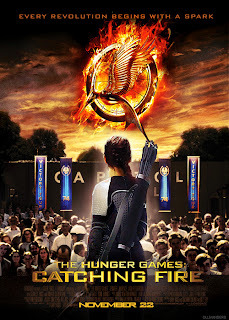 The Hunger Games was one of the most popular youth sci-fi movies in recent history and the Hunger Games Listening, Speaking and Grammar Activities continue to be some of the most popular parts of the ESL Commando website. Catching Fire, the sequel to the Hunger Games, promises to be just as exciting. This is a listening quiz that asks students to identify adverb clause signal words and adverb clauses for Catching Fire. The Hunger Games was one of the most popular youth sci-fi movies in recent history, and the Hunger Games Listening, Speaking and Grammar Activities continue to be some of the most popular parts of the ESL Commando website. Catching Fire, the sequel to the Hunger Games, promises to be just as exciting. Here is a cool worksheet with listening and writing on Adverb Clauses based on the movie trailer for Catching Fire. It also is a good supplement if you use Understanding and Using English Grammar: Fourth Edition Chapter 17, Adverb Clauses of Time for ESL instruction. All of these sites rock for different reasons. I encourage you to check out each ESL website in order to help you in your teaching. Each one of these has activities, games, and resources to help you teach grammar, pronunciation, listening, etc. Enjoy! 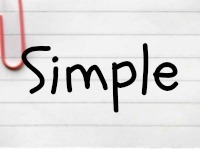 This Summary powerpoint gives seven easy steps to summarize in English. I hope it is useful to you. This is the simplest recording app I have found for the iPad. It's free and a great one step, easy way to share audio via email, facebook, social media, etc. It is stored on your iPad disk drive for easy retrieval when you need it. I like some other apps for audio as well, but none that I have found have been this simple and fun. Learn past modals with this fun and colorful powerpoint. See if you can get these adjective clauses correct by playing Wordshoot! It's a fun game focused on getting you to recognize the correct use of adjective clauses! Some of the pronouns may work for more than one sentence; however, the game only allowed me to use one, so if one of them doesn't work, look for another one that does! More info on adjective clauses HERE. This is the last video in a series of four videos on Summarizing. Check for other summary videos by clicking HERE. This is the third way to summarize effectively for English writing. Check for other summary videos by clicking HERE. Play this Adjective Clause Game by dragging the sentence to the correct pronoun. This should be a lot of fun. More info on adjective clauses HERE. If you like this activity, please check out the Adjective Clause Online Quiz! I have a series of 4 videos that will make summarizing a bit easier for all who find it difficult. I know that I did when I was in college, so I know that many ESL students will also find it to be tough. Check for other summary videos by clicking HERE. These are just a few questions that you usually want to avoid asking someone even if you know them pretty well, but definitely if you have just met them. If you have any good ones to add below, please add them to the list below. Youtube videos are a great resource for teachers and students alike, however, there are times when an internet connection may not be available and a video is needed. This is when an application like the one below can come in handy. Download the Firefox Add On for the Youtube Video and Audio Downloader. View the pics below to show you how to download the videos. Save the videos to a hard drive or USB stick to take with you. Also, these can be used for mashups, repurposing videos, commentary, etc. This Beatles music listening is a review activity is intended to be used after stative (non-action verbs) like “need, want, believe, long, etc,” have been taught for a few days. This activity can be done two ways. One is to just do a simple cloze activity in which students fill in the blanks on the sheet. The other way is to first have them sort the lyrics. Many students love English music and jump at the chance to hear it in class. Music is an awesome way to learn reductions, but many songs only use a few of them, which makes using a whole song very difficult or not useful. I was able to solve this problem pretty easily by using a cool website called Hashcut. I mashed a bunch of parts of songs with reductions. This allowed me to get only the parts that I wanted from those songs, which makes the students focus only on the content area that I want them to focus on. This mashup included songs from many decades like the Beatles, Rick Astley, Black Eyed Peas, Gotye, and more. Most students are sure to know at least a couple of them. You can first download the worksheet for this activity here. Then, play the video below to do the activity with students. Powerpoint has been the staple for slide presentations for years, but there are many easy and sometimes free alternatives for students and teachers who can't afford the Office Suite. Here are some good alternatives that some may even say are better than Powerpoint. 1. Prezi - This is the zooming presentation platform that has caught fire in the last few years. Done well, prezis can be amazing. Done badly, they can be a real headache. Below is an example made on Prezi, then added to Youtube. Note, Prezi only has the visual features, not the music. Note that Prezi gives you 100 MB of prezis for free. Here is an example Prezi I made for iPad apps for ESL teachers. 2. Slides - Looks like a good presentation app with mobile access that seems pretty simple and good for those with powerpoint experience or little to no experience. 3. Emaze - This looks like a real winner to me. The slideshows look like infographics. They are more linear than Prezi, but they seem very clean and neat. 4. Empressr - This looks very much like powerpoint in many ways, but is a free web based program that can be embedded. Below is an example. 5. SlideRocket - Very much like powerpoint, but web based, this seems like a business focused preentation platform with collaborative capabilities. Also, you can import powerpoints to sliderocket and collaborate through their web based service. You do have to sign up to use it. This is a very collaborative form of slide presentation. Here is a fun activity from the new Wolverine movie for ESL students. Students discuss, take the quiz, then write about immortality (living forever)! This is sure to be an exciting topic for the classroom! Download the Classroom Worksheet Here! It may look odd in the viewer, but when downloaded to Word, it will be fine. This is a new listening quiz from the new movie The Wolverine! Enjoy! Most ESL students need more than just a desire to learn language to help them get through the difficult nuances, exceptions, and challenges that await them in learning English. As a teacher to adults in an IEP, I realize that most of my students are motivated by their need to advance in careers or in education, but I find that this doesn't usually happen at the pace they expect it to. At this point is when a strong dose of teacher inspired motivation can help them to keep going on their English journeys. Therefore, I want to give a few ways to help teacher inspire their students to be motivated to learn English in and out of class. 1. Get excited - If you aren't excited about your class, no one else will be. Of course, teaching the 3rd conditional for an hour isn't inspiring to most ears, but it is the teacher's job to make it interesting. Bring in props, wear costumes, act silly, make jokes. Do whatever it takes to make English exciting without sacrificing the core principles of sound instruction. 2. Experiment - I have done many activities that have failed, but changing mid course is okay if something is not working out. I have found that students appreciate the fact that a teacher is trying something different if they know that the teacher is doing it for their good. Most of the time, they don't mind taking a detour from the normal routine as well. Try games, contests, championships, and fun activities to mix up the classroom. 3. Vary your tone- We tell our students not to be monotone, but sometimes we are the worst culprits of this language sin. A little syllable and word stress goes a long way. Get quiet in order to get the attention of students, then get louder to drive home your points. 4. Ask questions - Don't simply lecture the whole class! By asking students questions, the teacher makes them feel valued and respected. This is not common in many cultures, and could set your class apart from many classes that your students have taken in their home countries. 5. Be unpredictable - Routines are great, but as the idiom says, "Variety is the spice of life." I teach classes for two hours at a time, five days a week, so doing the same thing each day will not cut it as heads will droop and students begin to catch up on the previous night's sleep. Switch up the order of class. If you usually teach grammar first, jump to writing or reading first for one day. Of course, you don't want to do this too much, but sometimes it helps when the students are obviously disinterested. 6. Break out of the textbook- Nothing is worse than painfully going through every single exercise in a long textbook. This may be good for some, but many will grow weary of this in long classes ( I speak from experience). Make the textbook a resource and not a prison. Use it in creative ways. Cut up exercises and have students relay the answers back and forth to you. Call out random #s from an exercise and ask students to answer those questions. Try to do anything but the student #1, question #1 format every time. 7. Play Games - Lecture and pair work only go so far in a long class setting. Games are a great way for students to engage with content and learn how to work as teams. Here are some good resources to help you "gamify" your classroom. Also, here is a great article written by colleagues of mine, Sarah Petersen and Ana Kim, on creating an "excellent" game for language learning students. All in all, it is important to remember that the messenger is sometimes just as important as the message, and though you or I may be teaching correctly, we may not be inspiring or engaging out students. If my students are not motivated, excited, or interested, the problem may lie inside of myself. In fact, I am the easiest person that I can change. I hope that these tips give you some ideas on how to motivate those in your classes. This video focuses on when to add a syllable to the end of a past tense verb in English. Almost every student I have ever had wants to learn English quickly and easily. Unfortunately, many students don't understand that age, personal habits, and talent have a lot to do with learning English. Since age cannot be changed, and only some people are born with natural talent for language, we have to ask ourselves, "What is the only thing that we can personally change?" That's right, we can only change personal habits. Therefore, I want to give 6 habits that will help you to improve your English as quickly as you are able. These tips should help you to increase your skill no matter how much language learning talent you may have. Surround yourself with English. This is very easy to do now that the internet has given us so many options. Sign up for Netflix, Hulu Plus, or some other English media service online. Imitate English speakers. As you listen and absorb English, it is important to mimic or copy the sounds of English speakers in movies. This can be done easily now through Youtube, movies, DVDs, and there are good sites like English Central that will help you to do this. Make English speaking friends. In most countries, there are communities of Americans, Brits, or other native English speakers that you befriend. Many of them are looking for friends in a foreign land. If you are studying in the US or UK, you have no reason NOT to have at least 2-3 English speaking friends. Practice English daily. There is a saying in English, "If you don't use it, you will lose it." This is true for anything, but especially English. I have seen students leave the US, return four months later, and they have lost most of their English skill because they did not practice. If you leave your English study, practice by using Skype, chatrooms, Facebook, etc. Live in English. This simply means to do things you would normally do in your native language in English. That means if you read the newspaper in Arabic, you would now read it in English. You homepage on your computer could be set to English, not your native language. Your music could be in English, and more. Experience cultures of English speakers. Some students come to study English in America and never leave their dorms on the college campus. They do not have any American friends, they only talk to family or friends back home and go to class. This is not a good idea at all. Learn about American traditions, cultures, and history. This will help you to understand the American mind and give you a greater understanding of the language as a whole. Here is a quick explanation/tutorial on how to punctuate (use commas, periods) with adverb clauses. Descriptive writing is something that really shows skill in English. It uses lots of adjectives, specific words, and imagery to help get people to "see" what you are writing. This post will not focus on the structure of the essay so much as the content of the essay. For the structure, please check out this link. These are some principles that will make your descriptive writing much better. The main principle here is to "show" the reader, not just to "tell" them. Use Imagery - the 5 senses - What do you touch, taste, feel, hear, or smell? If you can include 2-3 of these senses in each description you are doing a much better job of "showing" the reader something, rather than just telling them. Bad Example: The car was fast. Good Example: The bright red Ferrari Testarossa burned its tires and screeched down the road at a blazing speed and left a rubbery odor in the air. The second example uses colors, sounds, and smells. Also, you can see how much easier it is to write more sentences with description than just "telling" the reader about your situation. Here is a Video on the 5 senses. Be specific - Avoid words like good, bad, tall, short, big, small, nice, pretty, etc. Be sure to use a thesaurus to help you find more interesting synonyms that hold more meaning than the overused words that are above. Bad example: The nice boys did a good job. Good example: The friendly and jovial children did commendable work. Here is a video on Being Specific. ( giving a non-human human-like qualities). Check out my videos on the site for these forms of figurative language. Bad example: The man was slow. Good example: The man was like a turtle on a chilly morning. Bring in pictures of different scenes and have students write descriptive about the pictures using the three principles above. "Outlaw" boring words like "good, big, small, nice, etc." in student writing. Write a "boring" sentence/paragraph using "telling" rather than "showing," then have students rewrite the sentences to "show" much better. Create an exercise where students must use only pronouns to describe a target object/person to a partner without the other partner know the object. "It has..," "He is like....", "It smells like..." and have students describe a target object to partner until they guess what it is through the descriptions of partners. I have found these principles to make writing much more fun and engaging for students overall, and I hope that you do too! Please let me know if you have any more good ideas for description! Camscanner HD is an awesome tool for ESL teachers. Many times teachers need to project student work, texts, etc. on a projector, and this tool makes it easy. One thing I really love about this app is the ability to crop scans, manipulate them, annotate them and more. Also, this amazing app amazingly takes out background colors and bad lighting in photos to make amazing images for classroom use. One good way to use it would be to simply scan an exemplary student paper and put it on the board as an example, or use it to annotate a reading that students have done. Best of all, the app is FREE! Here is the classroom activity for After Earth with Will Smith with a worksheet for the passive forms and writing/discussion. Oblivion looks like a great movie with Tom Cruise. This activity uses the movie,pictures, vocab cards and a worksheet to help students to practice the present progressive tense in a fun, interactive way that is more like a game than just an exercise. Download the Worksheet Here (Please note, it will look funny on the downloader, but in Word it's fine). Play the trailer and have students sequence the scene in order (They may need two times). You may want to run this part as a game. First team in order wins. 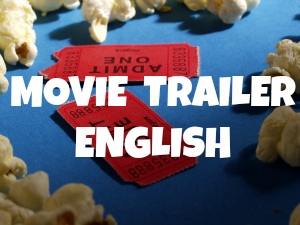 Play trailer again and have students recite correct vocab out loud by stopping the trailer for each picture scene. Students complete worksheet with fill in the blanks. Reported speech using noun clauses is a very difficult concept for many students to understand. I hope that this tutorial will help you to figure it out. The difference between the two is the verb after John and the pronoun before father. The verb in quoted speech changes when the reported verb, "told," is in the past tense. If it is in the present tense, the verb from the quoted speech will stay the same. Also, the pronoun has to change from "her" to "your" because we are not talking to Jennifer anymore. See the video below for more details. Iron Man 3 is a cool movie that all ESL students should really like. This quiz focuses on listening comprehension. Great Passive forms practice for ESL students. Passives are a form in which the subject is not doing an action but is being acted on by some other person, thing, etc. "After Earth" is a futuristic look at earth and how it could be in the future. It is also the story of a father and son who need to be closer. Look out soon for a worksheet/classroom activity for this exercise as well. ESL Video Activity - Simple Present Negatives "World's Largest Rope Swing"
This is a very cool video that shows some very brave people. The grammar objective here is to practice negatives. There is a worksheet you can download below. This is the World's Largest Rope Swing. Here is the discussion and writing worksheet you can download. It includes the questions for the classroom with a preview discussion and writing topic. Please check out this cool game called "Word Bubbles." It's a great way to practice your English words, spelling, and vocabulary in a fun environment that awards you points for getting more words! Here is a quick beginner discussion and lesson for the Simple Present that also includes listening practice. The Man of Steel is another name for Superman, and this version looks like it will be a good one. Download the Worksheet, discuss, and play the trailer for a mini quiz/activity! Downloadable Worksheet - Click here! If you like this activity, try more! This video shows the basic format of the comparison essay. Being an ESL teacher at a pre-college Intensive English Program, I have a great many students that really want to go to an American college, and will do whatever they can to get there as soon as is possible. Therefore, I have seen students that can hardly understand a complete sentence of mine telling me that they are going to take the TOEFL or IELTS and go to an American college as soon as is possible. The truth is that they are nowhere near the ability they need to go to an American college, and will fail miserably if they do happen to be lucky enough to get into one. I have also had students who have never read (or complain about reading) an English short story for kids or youth novel and expect to take on 500 page textbooks with high-level academic vocabulary. Or, how about students who do not write down any notes for a 3 minute listening assignment, and then expect to succeed in a 90 minute lecture setting? Get my point? There are certain things that students don't realize about the American University system. Somehow, these students think that even though they can't speak, read, write, or listen to English well at all, they will be able to do well in a university. This will NOT happen. Therefore, I have decide to write a few posts on how to succeed at the American university. Since I have taught at the university level and an Intensive English Program, I believe myself to be able to speak knowledgeably on the subject. Prepare for homework! - Homework is designed to help ESL students get more out of their lessons, and you will get a lot of it in the US. Many teachers count it as part of your grade and you will lose credit if you do not do it. Some students even fail their class for lack of homework. Prepare to take notes - Don't sit and do nothing while the teacher is lecturing, write down what he or she is saying! This may sound like common sense, but many ESL students lack in this area. When asked what is going to be on a test, many teachers reply, "Study your notes." No book pages, no websites, just notes. If you haven't taken any notes, you are in for a big shock during the test. You may want to practice with lectures from www.ted.org These lectures are similar to some of the material you may hear in the American college setting. Meet your professors - In a class of 200 students, you will go unnoticed unless you make yourself noticeable. Every student should get to know their professor after class at some point. Go to office hours, ask questions, be friendly, pay attention in class. Do NOT, however, try to bribe (give gifts) or beg for a better grade when you have not earned it. This will turn the teacher AGAINST you, and could get you removed from the school. Sit near the front and with good students - Don't sit in the back with the Facebook watchers, the texters, and the chatters. You will become like those you hang out with. This is true in the classroom as well. Also, the teacher might associate you with those students, and thus you are guilty by association. The teacher will also notice you if you sit up front. Don't steal someone else's work - This is the definition of plagiarism, and it is not tolerated at American colleges. You can be dismissed from the school if you take another person's paper, article, etc. and claim it as your own. In addition, many colleges have special software that detects if the paper has been copied from someone else. Read a lot of English books and stories- Reading will be your life in the US university, so prepare now by reading as much as you can in English. www.lingro.com is a great site to help translate entire webpages into your home language as you read it. There are many more things you can do to be successful at an American University. These are just a few. If you can think of more from experience, please place more good ideas in the comment box below! This is a funny quiz I made that shows a bunch of criminals who brag about their own crimes. "To Brag" is to talk about something proudly. Sorry about the ads in the beginning. I came across this great resource a while ago, but just took a closer and though about its ESL implications. It's called Fakebook and can be used by students to "fake" being a famous person and create a fake profile with pics, videos, and other information. This has a lot of cool applications for ESL. If a teacher wanted to assign a celebrity role to each student, then have them comment on each other's profiles, pictures, and videos, it could create a great sense of camaraderie while helping to build grammar, writing, and even typing skills. Below is an example someone did of Celine Dion. Click on "Create Your Own" to be taken to the main website. Click on FullScreen to move the ads out of the way on the example. Have fun and let me know if and how you use this! This is a great tool for tests, speed reading, and a host of other applications. Check out the host's website at www.classtools.net for great teaching ideas as well. You can also make the timer full screen. It is great that a lot of the ads are for World Vision, a humanitarian aid organization. Here is an explanation of Adjective Clauses when they are used as the object of the clause. Adjective clauses are very important when describing things in English.